For more information on Weddings or Honeymoons here Contact Us! Picture your destination wedding and honeymoon at this beautiful resort located on the east coast of the Dominican Republic. Where luxury quality and the best value for your dollar are paramount. Welcome to paradise to the umpteenth degree, where luxury is a standard. 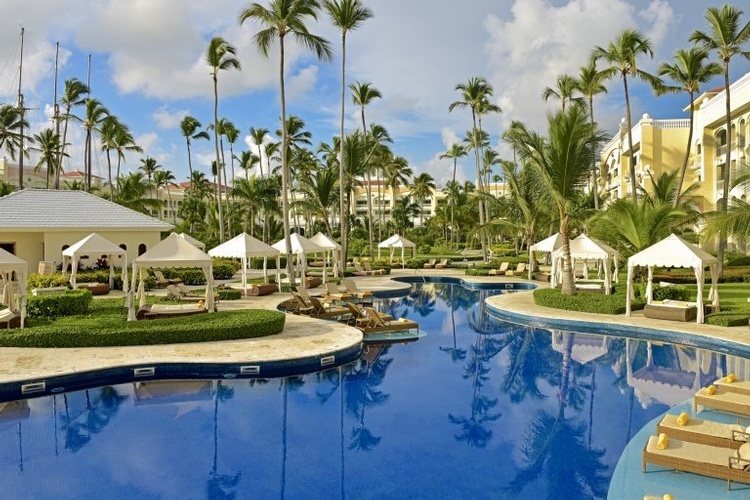 Iberostar Grand Hotel Bávaro where five-star doesn’t begin to describe this wedding location. It’s an adults-only resort where only the very best is included. From the “Grand Star Service” with butlers at your beck and call to a concierge service that’ll make you a reservation at one of the four a la carte restaurants. 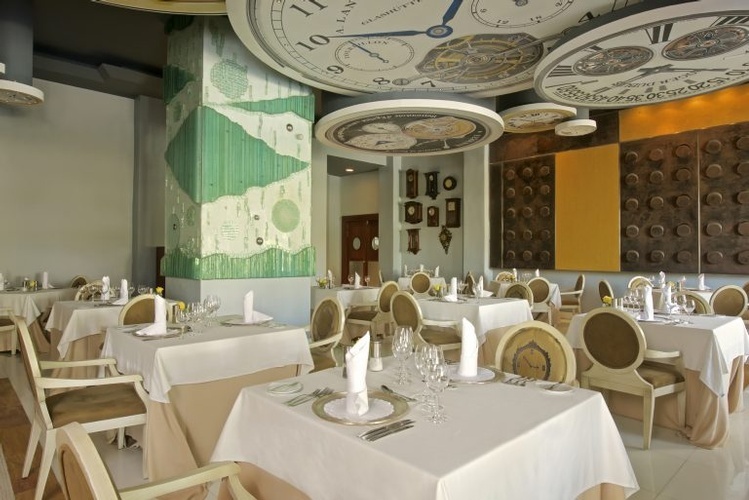 The Greco-roman style with wooden decks throughout the hotel and a replica of the Spanish Galleon as a music bar are nothing short of spectacular. At Iberostar Grand Hotel Bávaro the reality surpasses the dream. When you’re on vacation, your hotel room becomes your home away from home. 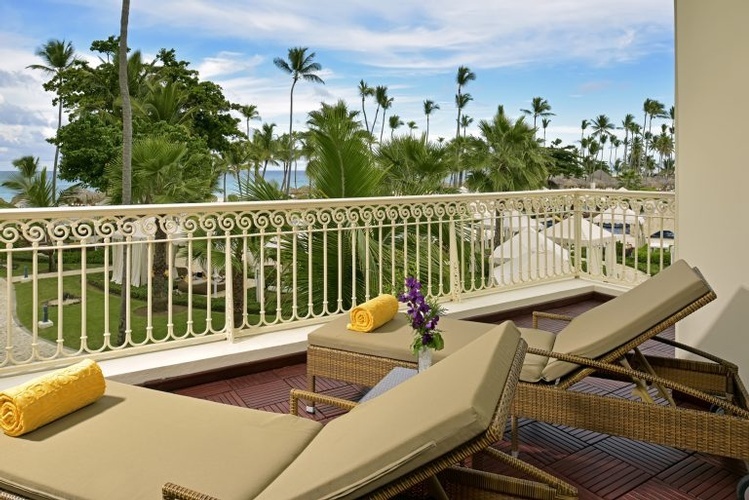 That’s why Iberostar Grand Hotel Bávaro takes care of having everything you’re used to like plush pillows, comfortable sheets, a cozy atmosphere, even a balcony or a terrace. 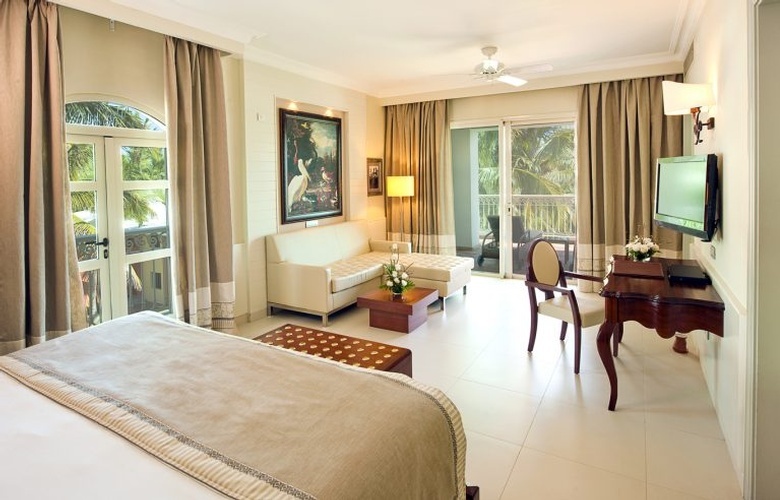 From standard rooms to ocean view junior suites to superior junior and presidential suites, you surely won’t be homesick. Amenities range from indoor or balcony Jacuzzis, a dining and an outside sitting area complete with comfortable couch or even a swing. Plus, of course, the comforts of home like an iron board, a safe deposit box, a mini-bar, a hair dryer and satellite television. And don’t forget, room service is available 24 hours a day. 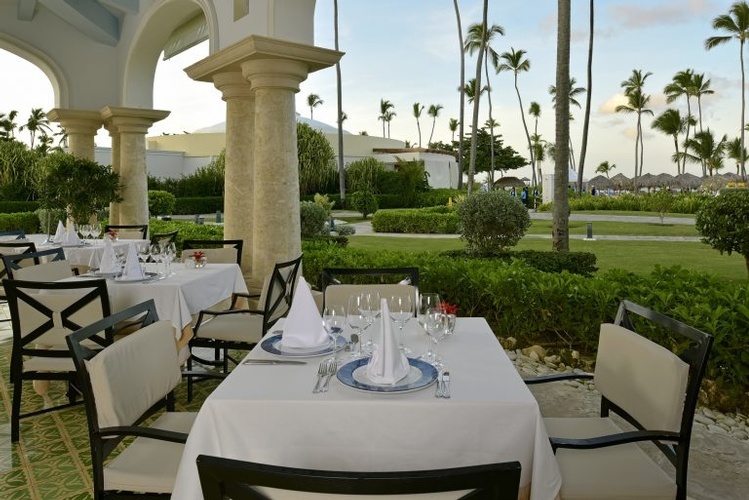 Satisfy your every gastronomic desire at Iberostar Grand Hotel Bávaro. This opulent five-star all-inclusive resort boasts four a la carte restaurants, one international buffet and a seaside restaurant offering all day dining. Linger on dish after dish of succulent foods, from Japanese cuisine like teppanyaki to an all-American feast with rib-eye steak and pork chops. And enjoy a fine wine to wash it all down. If you’re not in the mood for a specialty restaurant, enjoy the variety at the buffet. From meats and seafood to salads and desserts, it’s all there for you to enjoy one bite at a time. Gracing the shores of the Dominican Republic's most breathtaking beaches, Iberostar Hotels and Resorts offers a setting second to none to begin your life of wedded bliss. Beneath swaying palms on sun-kissed beaches, your dream day will become a stunning reality, with a personal wedding coordinator on hand to take care of every detail, so you can relax and enjoy your day to the fullest. At Iberostar Hotels and Resorts, we're here to help you create the wedding you've always wanted. 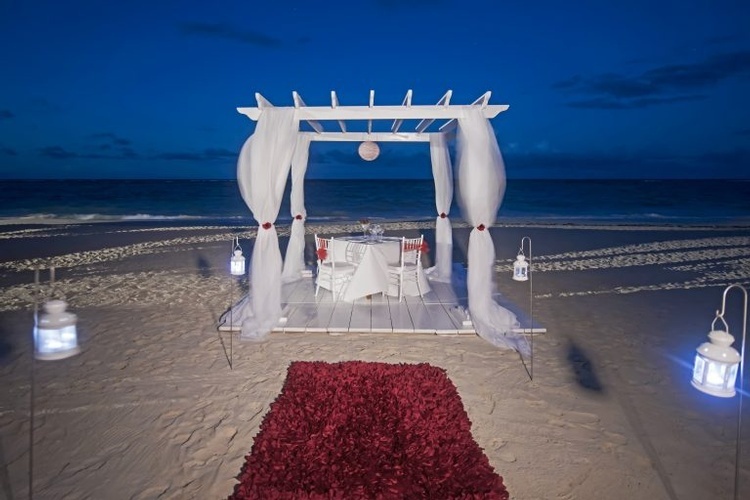 From white sandy shores to tropical gardens and gazebos, no matter where you choose to exchange your vows, we can come up with a storybook setting. But the setting is just the beginning, We offer a variety of wedding packages, from a blessing package, performed by a non-denominational minister, to a civil wedding package performed by a justice of the peace. With only one wedding per day, you can rest assured that your once-in-a-lifetime event receives the attention it deserves. 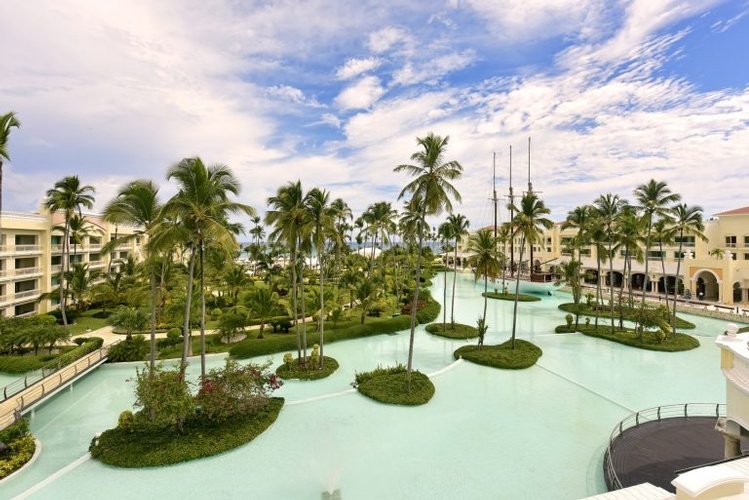 The Iberostar Grand Hotel Bávaro invites you to relax amid the swaying palms, beside the deep blue waters of the tranquil Caribbean. On your wedding day, you will be the stars. Iberostar is the perfect backdrop to all that romance. Think ocean views and a beautiful sunset. the romantic , candlelit a la carte dinners. entrees and let’s not forget desert. Bon appétit! A fee of $15 USD will apply for each additional guest. Ceremony in a spectacular ocean front venue. Sunset wedding setting decorated with tropical flowers. Aisle runner with tropical flowers and torches. Bridal bouquet in bird of paradise or tropical flowers with matching boutonnière. Wedding cake decorated with exotic flowers. Live music trio during the ceremony. 14 photos (5x7, taken during the ceremony). Services of an on-site wedding coordinator. Bottle of Sparkling Wine and a fruit basket to welcome the Bride and Groom. Romantic turn down service on the wedding night. Late check out for the wedding couple (Subject to availability). Cantaloupe cold cream with crispy crab salad. Grouper Ceviche with mango vinaigrette. (Surf & Turf) Sirloin and shrimp brochette. Tropical passion fruit tart with white chocolate. Delirios White Wine; Sauvignon Blanc (Spain-La Mancha). Masia Ribot Red Wine; Tempranillo (Spain-Penedes). Jaque de Reyes Brut (Spain-La Mancha). Mineral water, soft beverages and beer. Setting in restaurant area or hotel ballroom. Available in round and square tables. Orange tablecloth and tropical centerpiece. Matching crystal ware & napkins with tropical details. PRICE: $47 USD per person. Wedding setting decorated in a perfect match of black and white chiffon and red roses. White runner with black lanterns, white candles and red flower petals along the aisle. White tiffany chairs with black chiffon. Bridal bouquet of red roses with crystal touches & matching boutonnière. Sashimi tuna salad with mango vinaigrette. Smoked turkey cream with grated egg. Teriyaki Rib -Eye Roast with BBQ Baby Potatoes. Lemon lime pie fragranced with ginger and white chocolate. Masia Ribot Rose Wine; Macabeo-Parellada (Spain-Penedés). Viña Tobia Red Wine; Tempranillo (Spain-Rioja). Available in round or square table. White & black tablecloth, matching crystal ware and napkins with floral details. High silver chandelier centerpiece with red roses. PRICE: $52 USD per person. White gazebo and podium decorated with white flowers & crystals. White runner with crystal vases and white flowers along the aisle. Bridal bouquet in white roses, orchids and lilies with crystal touches, 4 bridesmaids' bouquets with matching boutonnières. Charming premium wedding cake in white and silver. 14 photos (5x7, taken during the ceremony) and a DVD. Complimentary wedding dress steaming & hair-do test. 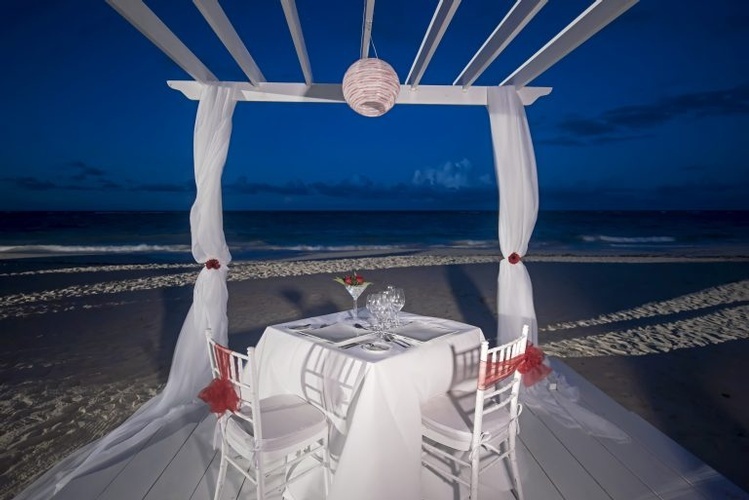 25% discount on a Romantic Dinner at the beach. Chicken croquette / Foie and sesame praline / Potatoes with mojo. Light cheese cream with sautéed zucchini, leek and almonds. Smoked beef and shrimp with passion fruit mayonnaise foam. Citrus fragranced sirloin confit with potato and bacon tatin. Brownie with nuts, mango gel and vanilla ice cream. Viña Tobia White Wine; Viura-Malvasía (Spain-Rioja). Daimon Viura Red Wine; Malvasía-Tempranillo (Spain-Rioja). Torre De La Vid Brut (Spain-Penedés). Silver tablecloth, matching crystal tableware & white napkins. Centerpieces with high silver chandelier and white roses. PRICE: $58 USD per person. Ceremony in spectacular ocean front venue. Wedding setting decorated in light rose & crystals. Tiffany chairs with elegant decor. Bridal bouquet in white roses with crystal touches & matching boutonnière for the Groom . Moët & Chandon Champagne toast. A free dinner, with a set menu, for up to 10 guests in an a la carte Restaurant. Breakfast in bed the day after the wedding. A Free massage for the wedding couple (30 minutes). Up grade to Sea View Suite for the wedding couple (subject to availability). Early check-in & late check-out free of charge (subject to availability). Tuna tart with strawberry gazpacho. Pheasant cannelloni with oriental salad. Grouper roast with bouillabaisse stew and vegetables with fine herbs. Phyllo baby bags stuffed with apple, cheese and vanilla ice cream. Joan Sarda White Wine; Chardonnay (Spain-Penedés). Castell de Ribes Brut (Spain-La Mancha). White tablecloth, matching crystal tableware & white napkins with crystal details. Centerpieces with high crystal chandelier and roses. PRICE: $25 USD per person. The banquets and dinners mentioned in each package are available at an additional charge unless otherwise indicated. The suggested menus were specifically created by our Chefs for each package, and have been paired by our Sommelier for each plate with a specific wine and are an option. There are several menus that the couple can choose. Ceremony date and package reservation available with an advance deposit (see "Note" below). Live music during the Ceremony and Reception. Note: The Wedding couple is included in the number of people in each package. All packages require that the wedding couple and 80% of the wedding guests stay a minimum of 3 nights at the hotel where the wedding takes place. Other offers may be available. All prices are in US dollars (USD). Non refundable $250 deposit required to lock-in the date for the wedding (payment via credit card or wire transfer). Prices are valid for weddings taking place 11/1/17 through 10/31/18. Available for new bookings only. Blackout dates may apply. Restaurant in semi-private area. No substitutions will be allowed. No discounts apply for smaller groups. Prices subject to change without notice. External vendor fees may apply when not using the resort approved suppliers. Your Iberostar honeymoon, long-anticipated after all the planning and celebrating, can take you anywhere from tropical beaches to the most beautiful corners of the Mediterranean to the adventure of a cruise on the Amazon. Many couples decide to hold their wedding ceremonies at home, in the company of their family and friends, and then travel for their honeymoon. 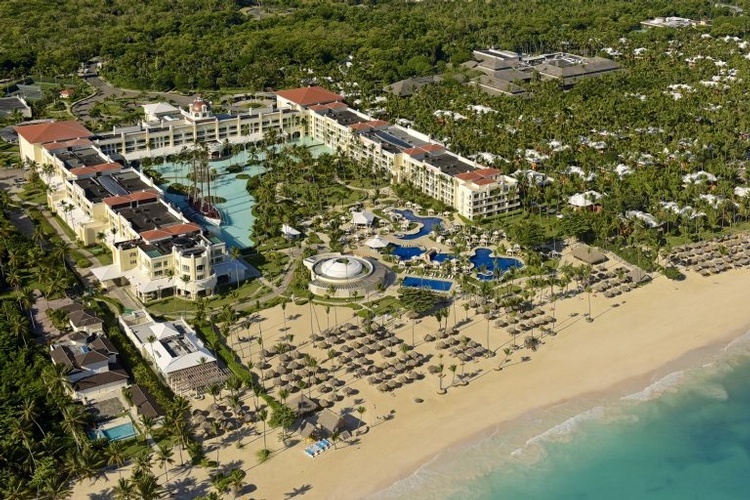 Each of the Iberostar Resorts offers something different and could be the ideal destination for your honeymoon. For reservations and or information on honeymoon packages, click the "Contact Us" button. 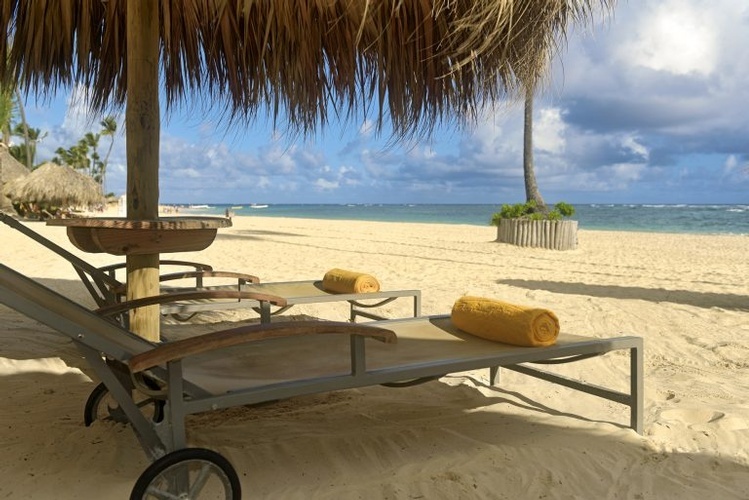 Get Started and Contact MyWeddingAway.com for Best Deals on Destination Wedding Packages & Venues in Punta Cana, Dominican Republic!